Your kitchen is a space you use every day. It is an environment that is probably highly frequented, used often and filled with numerous appliances. Therefore, it is important your kitchen is designed to fulfil all your needs. An ideal kitchen should look aesthetically pleasing, but also provide high functionality. Thinking about your dream kitchen can be a daunting task, as you may not know where to start. 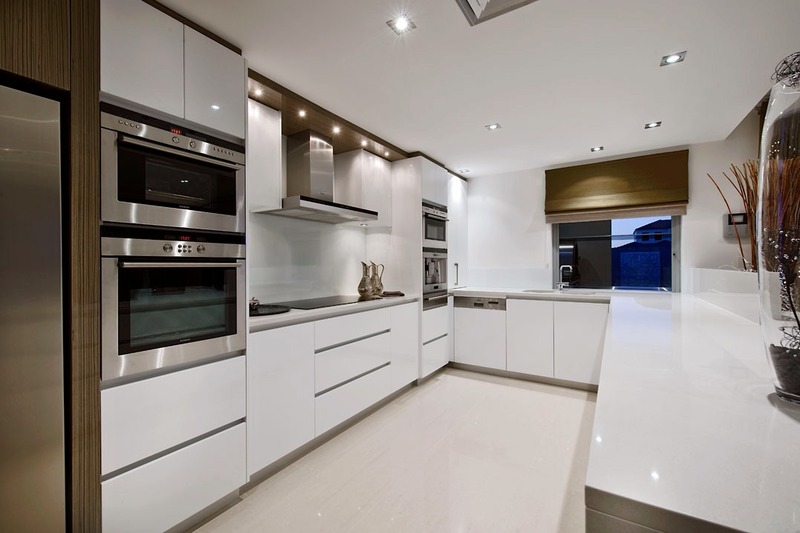 Here are a few tips on important things to consider when making decisions about the design, appliances and benchtops. Do you cook often? How do you cook? Do you use the stove top much? Do you require a lot of bench space? Knowing your own habits will help you determine the design of the kitchen you are after. Choosing the right countertop material is imperative to how your kitchen will wear and so you should choose wisely. For example, marble can show wear and also chip a bit. A great solution is QStone, composed of 94% natural quartz and 6% advanced resin. QStone is an extremely durable and hardwearing surface, so will last you for years to come and can be used for both horizontal and vertical surfaces. This includes splashbacks, benchtops, wall cladding, flooring and furniture. A kitchen is a place where you want as much natural light as possible. Making sure windows feature in the kitchen area will also make your kitchen look more aesthetically pleasing, taking advantage of the outdoor views and bringing the space to life. A clear and tidy kitchen is a good kitchen and is more easily managed. Make sure you have suitable storage to tuck away bulky items and appliances that may take up a lot of benchtop space so you can work with a clear area. Also, if you have a young family, ensure sink and stove elements are located so they are away from main walkways and hard for little hands to reach. A trend from the 1940s, try using a kitchen triangle. This means that the sink, stove and refrigerator each make up a point of the triangle and should be within a close distance of each other. This ensures efficiency within the space. By thinking about at least these simple things, you should have a better idea about what your ideal kitchen will need. Visit QStone today to see how their premium, engineered stone can be incorporated into your dream kitchen.